Maybe your father wore loafers. And maybe your grandfather, too. But they sure didn't wear any like this. Updated styling gives this classic a completely new look. Its lines are clean, letting the leather's natural patina develop over time. While we don't consider this a truly socks-optional style, we know quite a few men who have treated their bare feet to its soft leather lining from time to time. 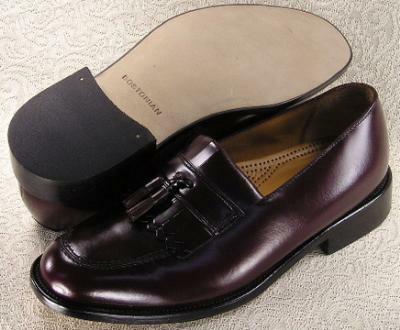 *Rich leather uppers are easy to care for and truly timeless.